Research by TRL centred on the GATEway autonomous vehicle project reveals high levels of acceptance to this new approach to transport. The team behind the GATEway Project has presented a summary of the findings from its three year research programme so far. The first project of its kind to explore the public’s hopes, fears and attitudes towards autonomous vehicles, it invited them to be part of trials with prototype technologies. Early results from Commonplace’s sentiment mapping, an online map capturing the public’s comments, indicates broad support (78%) for the idea of driverless vehicles on urban streets, provided they are safe and resistant to cyber attack. 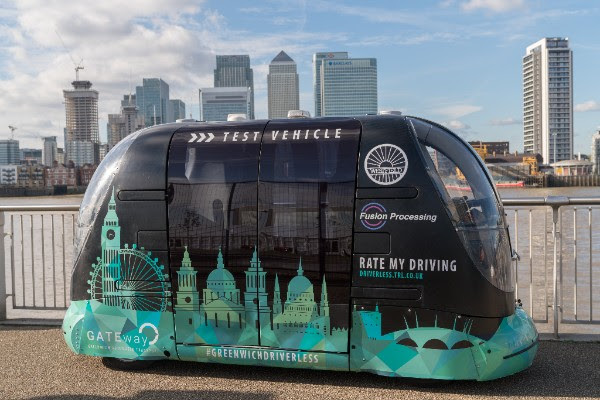 The GATEway Project paves the way for the Smart Mobility Living Lab (SMLL), a world-leading £19m test bed to benchmark connected and autonomous vehicles (CAV) in a complex and urban environment. Based in the Royal Borough of Greenwich and nearby Queen Elizabeth Olympic Park in Stratford, the SMLL will enable transport manufacturers and operators to develop new mobility approaches and rigorously test them in a wide variety of complex and dynamic city environments.